A unique, triangulated perspective on the middle market from our portfolio companies, private equity sponsors and loan investors. Resilient Optimism in U.S. Economy Drives Continued Investment Despite Growing Pessimism. Despite the rocky end for markets in 2018, confidence among middle market participants appears to be holding up well thus far in 2019 – boosting odds for further overtime in a record U.S. economic expansion. However, as late 2018 activity demonstrated, market shifts can happen quickly. As a lender, it remains critical as ever to be selective and maintain credit discipline. Confidence in U.S. economy remains strong although optimism wanes and pessimism creeps up. Our 3rd Annual Compass survey of sponsors, borrowers and investors completed in January 2019 suggests resilient optimism for the U.S. economy heading into 2019. Confidence has diminished a bit from remarkably high levels seen in early 2018 but remains generally strong, with 75% of sponsors, 81% of investors, and 72% of borrowers "confident" in the 2019 U.S. economic outlook. How confident are you in the U.S. economy over the next 12 months? Sponsors and Investors view a 2019 recession as unlikely, while Borrowers appear more apprehensive. Nearly 90% of sponsors and investors see the odds of a U.S. recession as "unlikely" or "very unlikely" in 2019. Borrowers are somewhat more apprehensive with 60% saying a recession in 2019 is "unlikely" or "very unlikely," while 25% say "likely." Nevertheless, nearly 75% of borrowers expect moderate to strong revenue and EBITDA growth in 2019. In your opinion, what’s the likelihood a U.S. economic recession will occur in the next 12 months? There are signs of concern, with confidence in the global economy down significantly. In contrast to the U.S., optimism regarding economies abroad has fallen sharply with a modest majority of sponsors and investors uncertain or pessimistic about the outlook vs. strong sponsor confidence seen a year ago. How confident are you in the global economy over the next 12 months? After a stellar year, most see M&A activity as flat or less active. On the deal front, most sponsors (69%) and investors (57%) expect M&A activity to be flat in 2019, but of the balance, about twice as many expect a decline as those that expect an increase, suggesting a tilt toward the downside. Within the mix of M&A, responses on LBO activity tilts toward "less active" while add-on activity is expected to be flat to "more active." On the leveraged loan front, most loan investors (62%) polled expect volume to decline by 3-10% in 2019 in contrast to more flattish forecast view held in early 2018. Over the next 12 months, how do you see the middle market M&A environment shifting versus the last 12 months? Only 9% of sponsors expect more activity in 2019, while most (69%) expect flat M&A volume. The biggest change came from sponsors who expect a decline, up to 22% from 11% last year. What do you expect M&A activity to do over the next 12 months? Many investors (57%) expect flat volume — a notable shift considering ~50% of investors indicated an increase in the last two years. Also, those expecting a decrease rose from 10% in 2018 to 29%. In the mix of activity, LBOs are seen mostly flat (66%) to down (25%). Add-ons, however, are expected to be more active (47%) or flat (44%). What is the principal factor driving middle market M&A volume in the next 12 months? According to sponsors, tension remains between two top drivers of M&A activity — high liquidity/access to cheap capital versus high valuations. Is your firm planning to sell businesses in your portfolio in the next 12 months? Interestingly, a greater number of sponsors (23%, up from zero in 2018) said they do not expect to sell a portfolio business in the next 12 months. 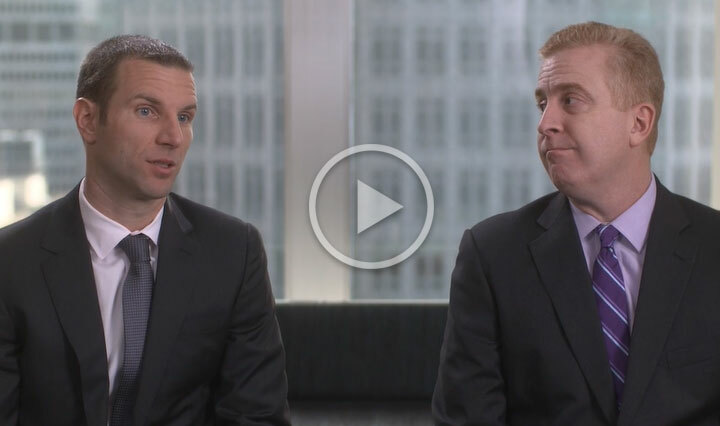 Antares' industry experts discuss market outlooks, industry trends, investor appetite and more. 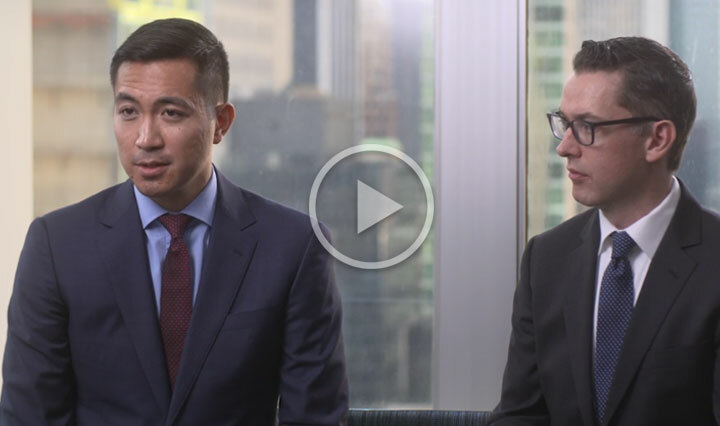 Matthew Fleming and Sean Sullivan focus on the Technology, Software and Communications sectors, while Ken Chen and Jason Ricketts discuss the latest in Healthcare. 25% indicated "higher than expected" levels of dry powder versus 2018 (up from zero). And there is some urgency around its deployment, with 41% expecting to do so in the next 12 months. When do you expect your firm will raise its next fund? Even with higher than expected dry powder, the pace of fundraising is high. 53% indicated they plan to raise their next fund in the next 12 months (up from 44% in 2018). Have you noticed an increased focus on ESG from LPs? Most sponsors (72%) have noticed at least a "somewhat" increased focus from LPs on Environmental, Social and Governance (ESG), with 56% giving an emphatic "yes." In light of the current interest rate environment, how do you plan to manage interest rate risk over the next 12 months? Significantly more sponsors are electing to leave their interest rate exposure unhedged this year than in 2018. When asked which industries are expected to experience the most growth in the next 12 months, Business Services, Technology, Software & Communications, and Healthcare & Pharmaceuticals continue to be sponsors' top picks. As we enter 2019, a few more investors seem to be shifting their asset allocation mix than in the prior year (23% vs. 10%), with a shift towards high yield. Do you expect to change your asset allocation mix? If yes, what will the new mix be? Most investors (62%) now expect leveraged loan volume to decline by 3 – 10% in 2019. This is in contrast to a more flattish forecast view held in 2018. Most investors - both Broadly Syndicated Loan investors and Middle Market-focused investors - expect spreads to stay flat, or increase modestly in 2019. However, the percentage of Broadly Syndicated Loan investors expecting wider spreads has jumped significantly. Over the next 12 months, how do you expect spreads for Broadly Syndicated Loans (with a deal size >$500MM) to change? Over the next 12 months, how do you expect spreads for Middle Market Loans (with a deal size <$500MM) to change? There has been a significant jump in expectations regarding the tightening of BSL market terms in 2019 versus prior years. Heading into the new year, 52% of investors expect tightening to occur, up from 8% a year ago. With regards to revenue and EBITDA, how is your company's LTM performance, pro forma for acquisitions, tracking to management's original budget? Borrowers' ability to hit revenue and EBITDA budgets has been trending positively since the initial survey, with misses for both revenue and EBITDA down to 31% and 34%, respectively, in 2019 survey, down from 46% for both revenue and EBITDA in 2018. With regards to revenue and EBITDA, how would you describe your company's year-over-year performance goals for the next 12 months? Borrowers increasingly see moderate to strong revenue growth (95%) and EBITDA growth (97%) over the next 12 months. This positive trend has continued since the survey's inception, up from 82% and 74%, respectively, in 2017. By what % do you project your company's workforce to grow via new hires over the next 12 months? The hiring outlook over the next 12 months continues to look strong, with 58% of borrowers expecting >3% growth in the new year. Compared to the prior year, how do you expect your company's IT spend to change over the next 12 months? As the year ramps up, more than 50% of the borrowers surveyed expected to increase their IT spend by 5% or more. How do you expect growth in your company's industry to trend in the upcoming year? Borrowers continue to see positive, increased future growth in their industries, with 89% seeing moderate to high growth over the year, which is up from 74% last year. Total column does not equal 100% due to other categories making up the difference. Similar to the last two years, using excess cash flow to make acquisitions is a top priority, followed by capital expansion. Sales/marketing is tied with hiring employees for third (hiring being up to 14% from 9% in 2018). Even as the new year begins, the top external and internal challenges remain constant. Year-over-year, the top two internal challenges for Borrowers remain the same: acquisition integration and growing with existing clients. Externally, the biggest challenge remains competition, followed by industry headwinds and rising costs. Survey was completed mid-January 2019 and is based on responses from over 150 private equity sponsors, middle-market borrowers and loan investors. The information in this report is for informational purposes only, is current as of the date noted and should not be used or taken as finance, legal or other advice. The information presented should not be deemed as a recommendation to purchase or sell any securities or investments mentioned. Although Antares Capital LP believes that the information contained herein has been obtained from sources believed to be reliable, Antares Capital LP does not guarantee its accuracy and it may be incomplete or condensed. Nothing within this publication should be deemed to be a research report. Past performance is not indicative of future results.